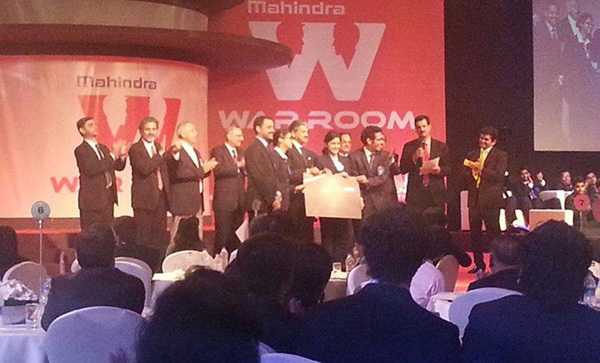 Micans once again proved their mettle in yet another prestigious inter B school event on Thursday when they became runners up at Mahindra War Room national finals held at the Grand Hyatt in Mumbai. For the preliminary round, teams had to pick any one caselet from a multitude of sectors and present their solution. Once selected at the zonal level, they were expected to present infront of a grand jury which included Mr. Anand Mahindra, Chairman and MD, Mahindra & Mahindra. All four students belong to of the 19th batch of PGDM(C), MICA's flagship two years course. The gala National Finale is televised by CNBC TV 18, as a 3-part episode each year. In addition to the cash prize of Rs 1 lakh, the team also won a 2 nights and 3 days stay in any Club Mahindra resort of their choice.